We all think of ourselves as living in the modern age especially now with all that can be done electronically. We are now in the post-modern, post-industrial age and some even say that we are moving to the post-human age. Never before have we had such an abundance of information at our fingertips. 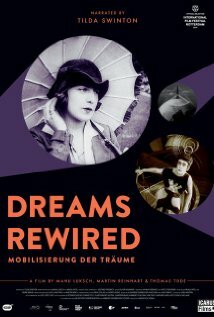 “Dreams Rewired”, a documentary narrated by Tilda Swinton and directed by Manu Luksch, Martin Reinhart and Thomas Tode looks at a new and different perspective. 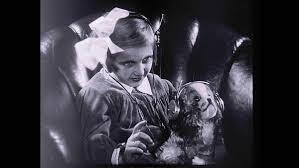 It is made up of a montage of films from the 1880s to the 1930s, many of which are rare and previously unscreened and it traces contemporary appetites and anxieties back to the birth of the telephone, television and cinema. The thesis of the film is that” the social convulsions of today’s hyper-mediated world were already prefigured over 100 years ago, during the electric media boom of the late 19th century”. We have had other such revolutions before and they brought about a new kind of utopianism in the public imagination that promised total communication, the annihilation of distance, an end to war, etc, etc. There is also an argument about how cinema’s arrival changed human psychology— it allowed us to see ourselves through the opportunities it provided. 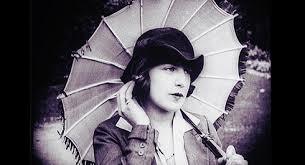 The images in the film’s images are by-and-large grainy archival footage from the periods seen here, with shots of crowds in motion coming from early training and promotional films as well as from fiction films by silent era masters like Sergei Eisenstein, D.W. Griffith, Alice Guy-Blaché, Marcel L’Herbier, Hans Richter, and Dziga Vertov. These images jointly offer an appealing false promise. The film attempts to charm viewers to change our perceptions of our media-saturated present. Today’s social convulsions are merely repetitions of the electric media boom of the late 19th century. 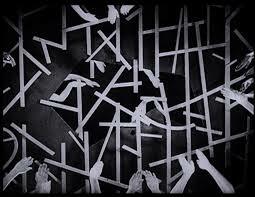 The film makes us, the viewers, more aware of our own making. We begin to realize the totality of the media environment in which we live and see just how important the past has been for the present day just as our years on earth will be valuable to those who come after us. This entry was posted in Film on August 18, 2015 by Amos.